Spring AD 80. The sailing season has begun. Lupus decides to see if his mother is still alive and to follow his uncle's dying wish. The friends sail to the island of Rhodes, site of one of the seven wonders of the ancient world-and base of a criminal mastermind! 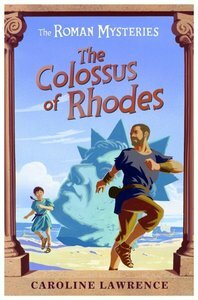 About "The Colossus of Rhodes (#09 in Roman Mysteries Series)"